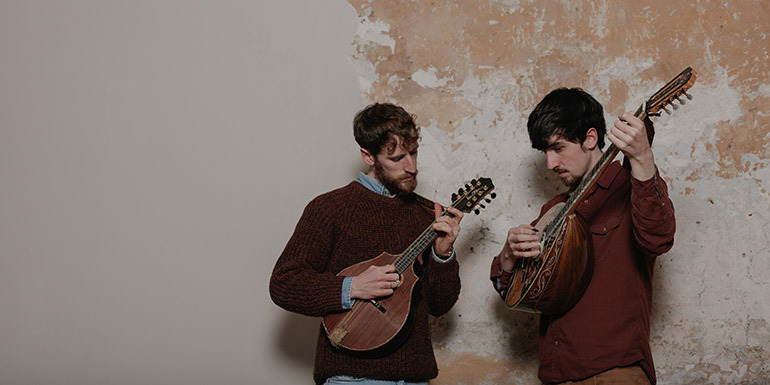 Ye Vagabonds will perform at Triskel to celebrate the release of their new album The Hare’s Lament. The third release on Rough Trade’s River Lea imprint is the work of brothers Brían and Diarmuid Mac Gloinn who grew up in the rural town of Carlow on the southeast of Ireland. The Hare’s Lament is an album of traditional songs learned from some of the greats of Irish music; from precious archive recordings of a grandfather they never met; from the unique collection of singer Róise na nAmhrán from Arranmore Island in Donegal (their mother’s birthplace) and from contemporaries in the singing communities around Dublin, of which Ye Vagabonds are a valued part.